Spondylolisthesis foraminal stenosis describes narrowing of the neural foramina due to misalignment of spinal bones caused by vertebral migration. Foraminal stenosis is a normal and universally experienced condition among adults in the lower back and neck, with focal areas of stenotic activity affecting the areas from L4 to S1 and from C5 to T1. Foraminal stenosis is not the same as a pinched nerve, as is often mistakenly perceived by laymen. Neural foraminal stenosis is the causative process behind spinal nerve root compression, but unto itself is a harmless, generally asymptomatic and completely normal part of aging. This dissertation explores the occurrence of foraminal narrowing in association with vertebral listhesis. We will investigate why spondylolisthesis creates a loss of foraminal patency, as well as the typical consequences of such canal narrowing conditions. The neural foramina (foraminal openings, foraminal spaces, neural foramen) are formed in between vertebral bones in order to allow spinal nerve roots to exit from the backbone. These roots will continue onwards to form huge networks of neurological tissue that innervate most of the body. 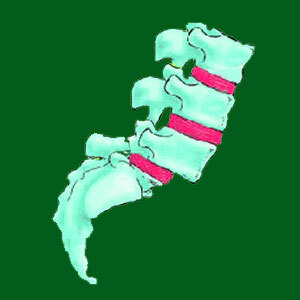 The foramen result from the natural design of the vertebrae and the elevation between bones provided by the intervertebral disc spacers. Normally, these openings are quite large, especially since the nerve that must pass through is very small. 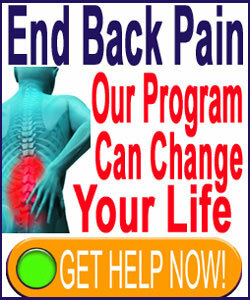 Therefore, the foraminal space can narrow almost completely without compressing the exiting nerve root. Listhesis conditions cause the vertebral bones to misalign from their normal and expected anatomical placement when viewed from the sagittal plane. One or more vertebral bones will be slightly forward or slightly rearward of its ideal location. This misalignment causes the foraminal spaces to change shape and lose patency. They become smaller and tend to be more likely to impinge on the nerve root as it travels through the foraminal opening. It is normal for age and activity to cause degenerative changes in the neural foramen, even in people who do not demonstrate listhesis. Disc desiccation begins the process of spinal deterioration. As the discs dry out and lose mass, adjacent vertebrae move closer together. This causes an immediate reduction in the effective size of the neural foramen. As the spinal bones interact more frequently and violently due to their close proximity, the arthritic processes ensue, inciting osteophyte formation and accumulated debris on the vertebral bodies, in the central canal and around the facet joints. Many of these bone spurs and debris deposits can also narrow the size of the foraminal openings, as well. Depending on case-specific circumstances, there are many other very common scenarios that can further reduce the patency of the neural foramen, including atypical spinal curvatures like hyper or hypolordosis, hyper or hypokyphosis, scoliosis, ligamentous ossification or hypertrophy, and the high incidence of herniated discs in the general population. All of these factors will contribute, along with the spondylolisthesis, towards decreasing effective foraminal size and potentially enacting compression of the exiting nerve root. When this neurological effect occurs, it is called a compressive neuropathy or pinched nerve. Foraminal stenosis unto itself is asymptomatic. The foramen are just openings, and if they close slightly or moderately, no detrimental effects should be produced. However, when the patency of the foraminal spaces reach critically reduced levels, the exiting nerve might be encroached upon and structurally compressed. Pinched nerve symptoms are detailed elsewhere in this website in our essay titled pinched nerves from spondylolisthesis. However, to summarize, most pinched nerves will only generate temporary pain, if any at all. Instead, the expected symptoms will comprise tingling, numbness and weakness, followed by functional deficits in the innervated area of the anatomy. The reason these expressions occur is not because the nerve signals distress, but instead because the nerve loses its ability to signal at all. Since no neurological information gets past the compression point, the area of the body served by the affected nerve also loses sensation and/or motor ability. If this compressive neuropathy occurrence happens in the neck, certain autonomic functionality might also be affected, causing negative systemic effects on health.